There are plenty of event spaces in St. Louis, some of which are located here in the CWE—Mahler Ballroom and The McPherson come to mind. But what Elizabeth Freshour and Jodie Allen have created with the opening of Fresh & Co. Studio and Fresh Art Photography, at 4366 Manchester in The Grove, takes a slightly different approach. When Freshour and Allen stumbled upon the dark and dreary 1200 s.f. space across from Urban Chestnut, it had been vacant for a couple of years. 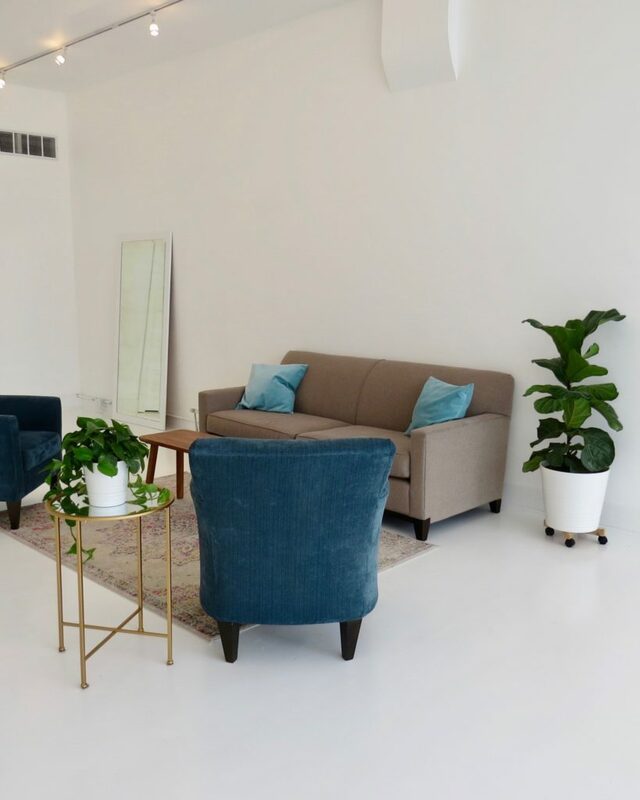 They saw the potential for what they envisioned as a “spin on a co-working space,” two businesses sharing one storefront, not as partners but as “studio mates.” Since opening last April, they have accomplished what they hoped for. 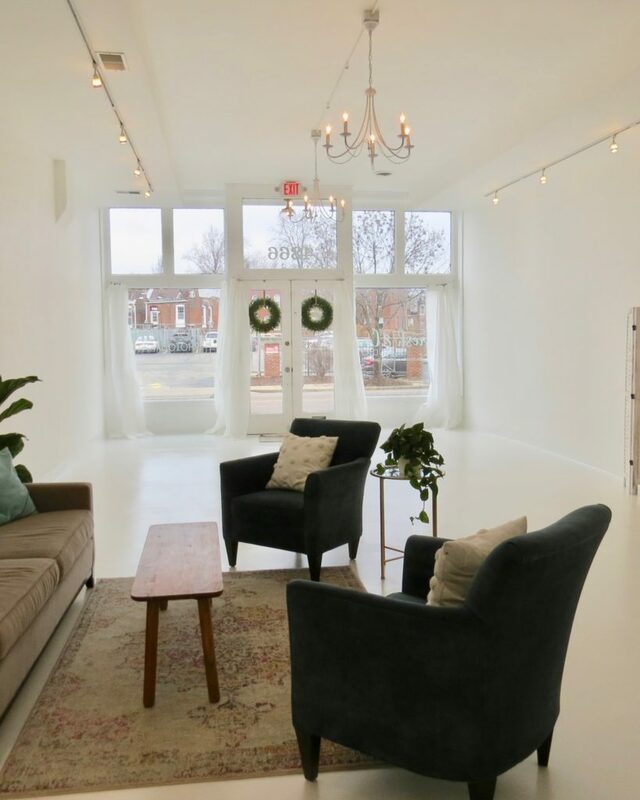 The eye-catching storefront and type of business fits right into the increasing vitality of The Grove, and they have been booking events in the space ever since. Elizabeth Freshour’s Fresh & Co. Studio can be leased for bridal or baby showers, craft workshops, pop-ups, small meetings, etc. While I was interviewing Freshour, I kept picturing an all-white dinner party that’s been on my mind for years. Studio-mate Jodie Allen, above, uses the space for her business, Fresh Art Photography, and in addition, the white canvas of a space is available for other photographers to lease for shoots as well. Elizabeth Freshour, above, her husband and their toddler moved to St. Louis from the Bay Area 7 years ago. Now there are two kids, ages 6 & 9. Freshour hired Jodie Allen to take their family portrait each year, and they became friends. As the friendship blossomed, they decided to blend their business ideas together in The Grove. In the past Freshour has worked in data storage and in sales operations for a natural food company. 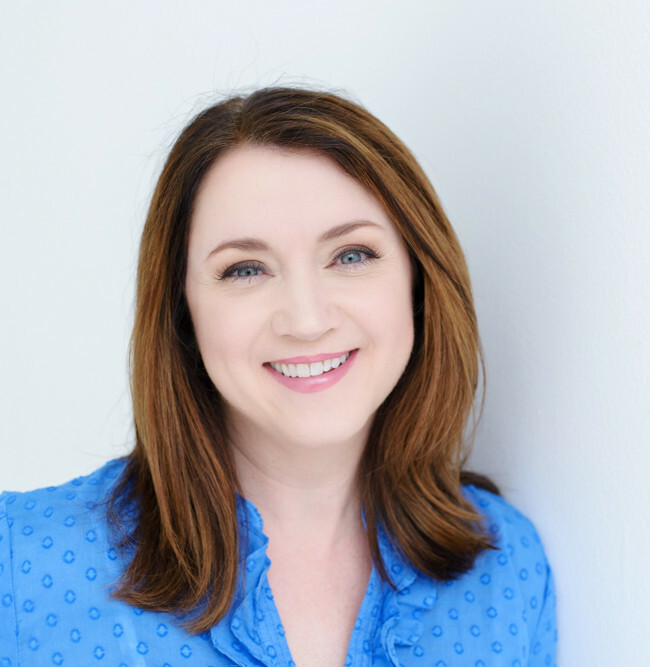 Now she not only manages the event space—and repaints the studio’s white floor several times a month (which she says she has down to a science), she also finds time to work for a non-profit and to work in elder care. Fresh & Co. Studio is used for rehearsals too. An indie rock band practices there, and because why not. theater co. has been rehearsing for a performance of Fair Youth which will be presented, April 18, 19 & 20. Crafters and yoga instructors also rent the space, you can find out about these events on the website too. To see the types of events that have been held at Fresh & Co. Studio, click Tour on the website. The studio is open by appointment between 9 a.m. and 10 p.m., 7 days a week. There is a kitchenette, free wi-fi, an outdoor area, and tables, chairs (for 40), and linens for rent. Freshour maintains a list of party stylists and caterers on the website, or you can provide your own. Entry to the space is concierge-style, so after you key in the entry code, you are completely on your own. 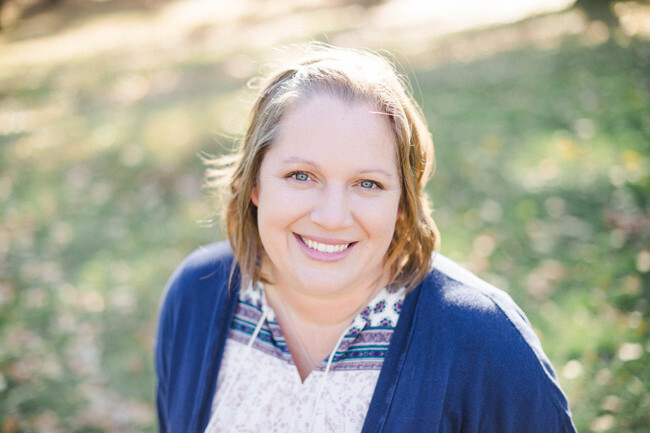 When Freshour moved to St. Louis, she had no professional contacts. Now, with the creation of Fresh & Co. Studio, she says she has built incredible relationships with many entrepreneurs, which has added to the reasons why she is so happy they moved to St. Louis. Fresh & Co. Studio and Fresh Art Photography, 4366 Manchester in The Grove. 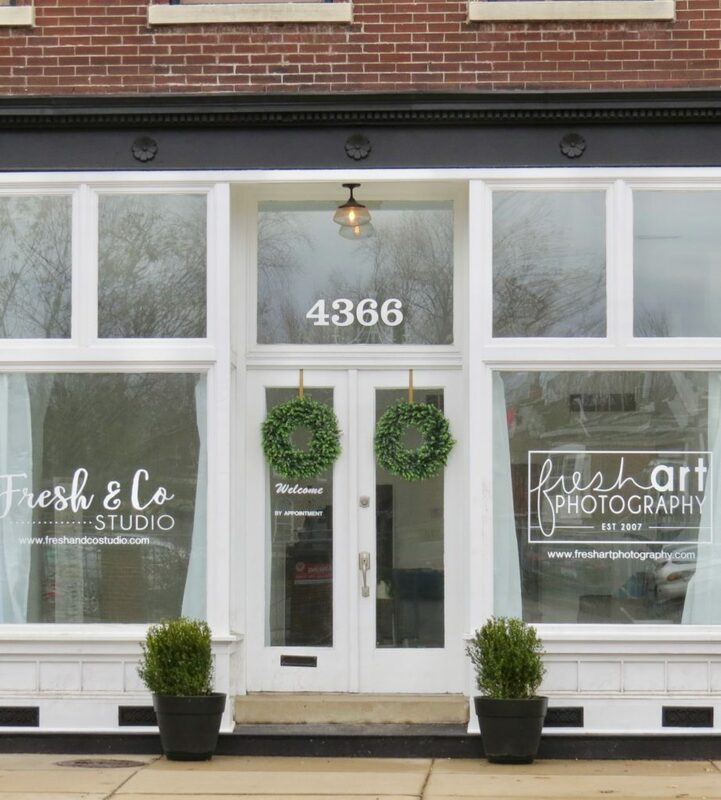 For photography studio/event pricing information contact Elizabeth at info@freshandcostudio.com, (314) 722-8812.